Interview: What Prospects for Korean Unification? Cho Han-bum of the Korea Institute for National Unification on inter-Korean relations and the specifics of unification. Professor Cho Han-bum is a senior research fellow at the Korea Institute for National Unification (KINU), a think tank funded by the South Korean government focusing on issues related to unification between the North and South. Earlier this month, he spoke with Rafał Tomański regarding ties between the two sides and the specifics of Korean unification. An edited version of that interview follows. You have been dealing with the feasibility studies on the potential costs of Korean unification. Could you describe this briefly? The South Korean government has been preparing for unification by launching the Presidential Committee for Unification Preparation in July last year. It has also allocated $1.2 billion for an Inter-Korean Cooperation Fund since 1991. Regarding the unification costs, the government has been preparing various means but has not been actually implementing this in earnest. If unification is suddenly achieved, as in the case of Germany, it is possible to cover the costs in the form of policy loans and national debt. In the previous Lee Myung-bak administration, there was a fundraising campaign for unification costs called the “Unification Pot” but it did not receive substantial funds. Currently, a private-run major newspaper, The Chosun Ilbo, is campaigning to raise fund for unification costs and hundreds of millions of dollars have been raised. Some NGOs have made efforts to do this, but this is at a minor level. There is no way of giving the exact amount of money needed for conducting the whole unification process. I’ve been responsible for establishing those costs approximately for many years and still haven’t been able to give any real budget. We don’t know what kind of unification might eventually take place. And keeping in mind that the differences between the North and South are far more than between Eastern and Western Germany in the last century, it is really extremely hard to estimate them. You mentioned the unification of Germany. Could the lessons from that case be applied to Korean unification? No, it’s not possible. The German experience is of course valuable for us, but we cannot use it as a benchmark in our case. There are three main differences between those two situations. First, the former Soviet Union and all the Western countries agreed on the unification of Germany. There were no opponents and the climate for negotiations was very good. In our case, bringing the two Koreas together would for sure be opposed by United States, Japan, and of course China. All of them support our case, but they would for sure be against many aspects of that process. Secondly, there are some geographic and economic differences between both of those cases. West Germany was acquiring the East, which accounted for about a third of the total area. In our case, the peninsula is divided in half. East Germany had an economy that was about an eighth of West Germany; North Korea is about one-fiftieth that of the South. Besides, thirdly, South Korea has a more limited capacity to handle the cost of unification. In Germany’s case, we had the unification of a nation which was either the fourth or fifth largest economy in the world at the time. South Korea is now around 12th place, so the process would be more difficult for us to handle without help from the outside. How would you describe Kim Jong-un? Some have a tendency to portray the North Korean leadership as irrational and unpredictable. If true, does this combined with a nuclear arsenal really make Pyongyang a partner for negotiations at all? That’s true that many call him paranoid, but I’m sure he acts reasonably. Unfortunately for us, his intentions are only self-interested, in that his only goal is to be able to survive in his regime. But I wouldn’t call him crazy. He was just unprepared for his tasks as a leader. His father, Kim Jong-il, spent more than two decades gathering experience for controlling the country. If that’s who we are dealing with, how then would you describe the best way to conduct talks with North Korea? Given the unknown costs of the unification process, the best way would be to focus on trust building. We don’t know how long it may take, but we know for sure that without mutual trust, we are not able to cooperate on any field. There is no chance for returning to the Sunshine Policy of the past, so we just have to concentrate on gaining achievements one by one. It’s a long process that requires patience from both sides. Are there any pre-made plans for how unification would occur? Considering that policy shifts may occur at any time, are you prepared to act as soon as there is a chance to do so? Of course. We are constantly ready to start acting. The railway station in the DMZ can handle up to 200 trains in 50 minutes, and there is a corridor ready for establishing a logistics connection with the North. From the observation point in Dora Camp, we can see a few higher apartment buildings above the 38th parallel, but you have to be aware that due to the power shortages, there are no elevators operating normally and people have to use the stairs to get to higher floors every time they want to leave their apartments. North Korea requires much more help than we can assume. That’s why we have our “Bible for Unification,” called the National Community Unification Formula. It consists of three major steps. It starts with cooperation between the two sides, followed by a Korean commonwealth, which can be described as “one country, two systems.” This could last a long time – even for about 20 years. Then the third and final part of whole process will be a unified Korea. Do you have any specific means of managing the people from the North who will eventually travel south? To what extent does South Korea have the capacity to deal with the influx of people into the country? South Korea is ready, but it still requires more funds to secure all the expenses needed when unification begins. That’s why we even had a fund collected from our own citizens. The amount is still not enough. Besides, to reiterate, there is no way to even establish what the actual costs may be because we don’t know what kind of unification would take place. For instance, there would be a huge problem with the demilitarized zone (DMZ) between the North and South. The North Korean side put over two million landmines there. At first glance, it may seem as a secret garden to you, full of various animal species like eagles and deer. But it can transform any time into a hell on Earth packed with explosives. In case of a sudden unification, the influx of North Koreans to South Korea would cause serious issues. Unlike the case of East and West Germany, North Korea’s population is half that of South Korea and the economic gap between South and North is huge. 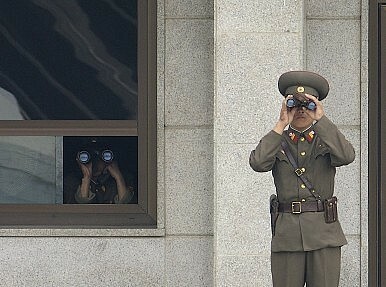 Therefore, it is likely that the North Korean population moving to South Korea will be significant. There are no legal means to restrict North Koreans moving southward according to the South Korean constitution (the South Korean constitution states that North Koreans are South Korean nationals as well, as the whole Korean Peninsula is defined as its territory). It is important to take measures to manage the flow of people that would occur. Thus, the cost will be incalculable for stabilizing the North Korean region in the case of a sudden unification. The optimal means for unification is a gradual one, which could reduce the economic gap between South and North Korea. How would you describe the inter-Korean dynamics given the most recent tensions between the two sides last month? On the crisis this August, North Korea committed itself to taking the upper hand in the negotiations with the South by using military threats. Provocation per se was not the purpose, so there was no possibility of an all-out war. Currently, North Korea suffers from severe economic hardships and needs assistance from South Korea. It can be said that North Korea utilized military means to induce assistance from South Korea. Hence, the inter-Korean talks will continue with the discussions of the reunion of separated families and so on for the time being. However, North Korea will resort to “salami tactics” asking for more in the negotiations, making the inter-Korean negotiations difficult in the future.